DIRECTIONS: Remember, the Lesson Mission is what you, the student, will be able to do after the lesson is over. Begin today's Lesson Chronicles Entry by heading your paper with your name and the date and the Lesson Title. Write down today's essential question. 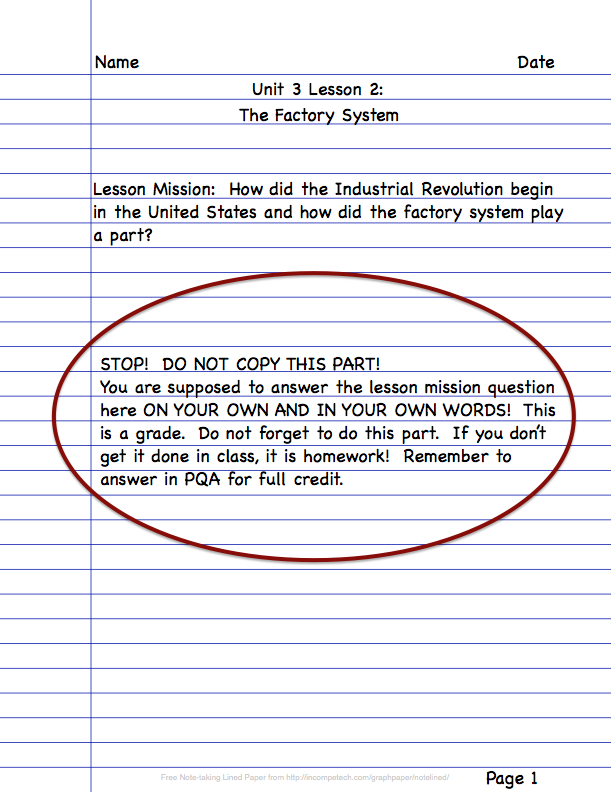 Answering the essential question at the end of the lesson is your Lesson Mission! 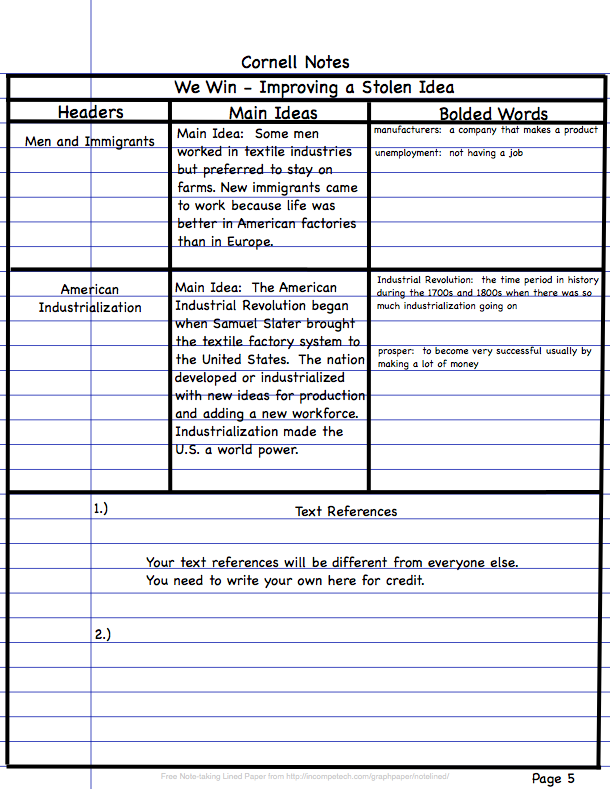 How did the Industrial Revolution begin in the United States and how did the factory system play a part? Set up your Lesson Chronicles for today like the example below. DIRECTIONS: Remember, accomplishing your lesson mission is your purpose for reading. To accomplish your mission, you must be able to answer the essential question(s). We will continue to work on answering essential questions by identifying information from key text structures to make a skeleton outline of the text. personal thoughts about the reading! Set up the Skeleton Outline for today like the example below. DIRECTIONS: Now that you have a purpose for reading, and you have identified the key elements of the reading, we will take turns reading the passage below as a class. 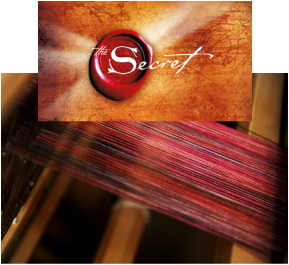 As you read, if a certain part of the reading makes you think of a text to text, text to self, or text to world connection, write it in the bottom row. Text to text references: When a certain word, phrase, or sentence reminds you of something else that you have read. Text to self references: When a certain word, phrase, or sentence reminds you of something about your own life. Text to world references: When a certain word, phrase, or sentence reminds you of a world issue or event. England tried to keep their textile factories a secret because they wanted to remain the richest most powerful nation in the world. Who can blame them? Once you are on top, you want to stay on top right? England tried to keep the textile industry a secret by making it illegal to reveal or distribute information about England’s textile machinery, methods, or setup to other nations and even to England’s own colonies. The colonies were expected to supply raw materials, but the manufacturing was to be done in England. The penalties for violating these state secrets were severe. Samuel Slater was a 21-year-old former apprentice to a textile manufacturer who wanted to go to the newly independent United States to start his own textile business. He knew that there were businessmen in America who were interested in building textile factories. Because he could not chance being caught with written notes or diagrams, Slater memorized the internal machinery of spinning and weaving machines. He then disguised himself as a farmer and sailed to America in September 1789. He had no money, but he carried a fortune in his memory. Slater soon found a partner, Moses Brown, who had the necessary money, and together they opened the first American textile mill in Rhode Island. The new American nation had two competing self-images. 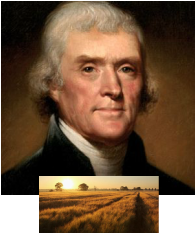 One view, which was expressed by Thomas Jefferson, perceived the United States as an agricultural nation populated primarily by farmers who owned and farmed small parcels of land. This ideal would persist in American minds into the late 20th century, long after the nation had few farm families left on the land. Jefferson did not want the United States to become a nation of factories because he had personally witnessed the suffering of factory workers in England. The second image was envisioned by Alexander Hamilton, a friend of U.S. President George Washington and the new secretary of the treasury. 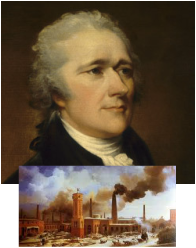 Hamilton wanted the country to industrialize rapidly. He wanted the United States to build factories because it would encourage immigration to the country, increase the value of farm products since there would be more people to buy the products, and greatly strengthen the nation as a world power able to compete with other nations. Eventually, Hamilton’s policies would succeed. In 1793, when Samuel Slater and Moses Brown built the first real American textile mill in Rhode Island, they put Alexander Hamilton's dream into motion. Slater and Brown began the Industrial Revolution in the United States. Brown provided the financial means to start the factory and Slater provided the know how. Slater put several of the processes that were needed to make textiles into one factory. He used a single waterwheel system to power all the machines. Soon more and more factories opened in larger towns and Samuel Slater's innovations in the American factory system inspired many new inventions and innovations that made producing in factories more effective and efficient. Patents prevented people from stealing ideas and inventions from the inventors. Inventors are more likely to spend time creating and testing new ideas if they are going to make money from their efforts. The new government of the United States passed a patent law in 1790 which ensured inventors’ legal control over their inventions and the sale of these inventions for 17 years. The first 10 years saw fewer than 300 patents (rights to an invention) issued to inventors. However, after 1800 the number rose dramatically. Unfortunately the patent law did not always protect an inventor. In 1793 Eli Whitney invented the cotton gin, which separated the seeds from cotton 50 times faster than could be done by hand. Since the machine was easy to duplicate, many planters simply made their own cotton gins. As a result, Whitney and his partner were unable to protect his invention. The cotton gin led to a far greater supply of cotton for the new textile factories in the North. It also helped keep slavery as an institution in the South because slaves were needed to grow and harvest the cotton. Making screws, nuts, bolts, and other parts the same way made it easier to produce many items at once and fix broken products easier. The cotton gin was one of the most important inventions in American History, but it was not Whitney's greatest accomplishment. In addition to inventing the cotton gin, Eli Whitney helped introduce a new idea in producing goods. This idea was using standardized parts. A standardized part is one part of a machine or product that is made in large numbers, exactly the same way. Standardized or uniform parts made the parts interchangeable. In other words, because the parts were nearly identical, they could be easily made and replaced. The standardized part could also be used to fix any product that used the part because the parts were created identically. Before Whitney's time, everything had been made individually. Each item was slightly different from every other item of its kind. This really slowed down manufacturing until Whitney started encouraging the idea of standardized parts. The idea wasn't popular in the beginning. People did not want to move away from handcrafting products in the beginning. Why do you think this was the case? In 1797, the United States feared it might soon be at war with France, so the government wanted to have 40,000 muskets made. Fortunately, the war did not happen. This event, however, inspired Eli Whitney to find a way to manufacture guns more efficiently. Before that time, each gun was individually made by a skilled gunsmith. If a part broke, the replacement part had to be custom made for that gun. Whitney realized that if each gun had interchangeable parts, then it would be easy to replace broken parts. Whitney realized that there were very few gunsmiths in the United States, so he designed machines to manufacture gun parts that were so easy to run that a child could do it. Whitney's first gun factory was opened in 1798. He wanted to produce 10,000 muskets for the U.S. government. Some people did not think that his idea of interchangeable parts would work. Whitney set up a demonstration for President Thomas Jefferson in 1801. He gave Jefferson and some other government officials piles of musket parts. They randomly chose parts from the piles and gave them to Whitney. He was able to put several muskets together very quickly to prove that his idea worked. Whitney's idea of interchangeable parts had been used in France several decades before his invention. No one had paid much attention to it. Whitney, however, promoted what he called, "The American System." He made interchangeable parts important to mass production. 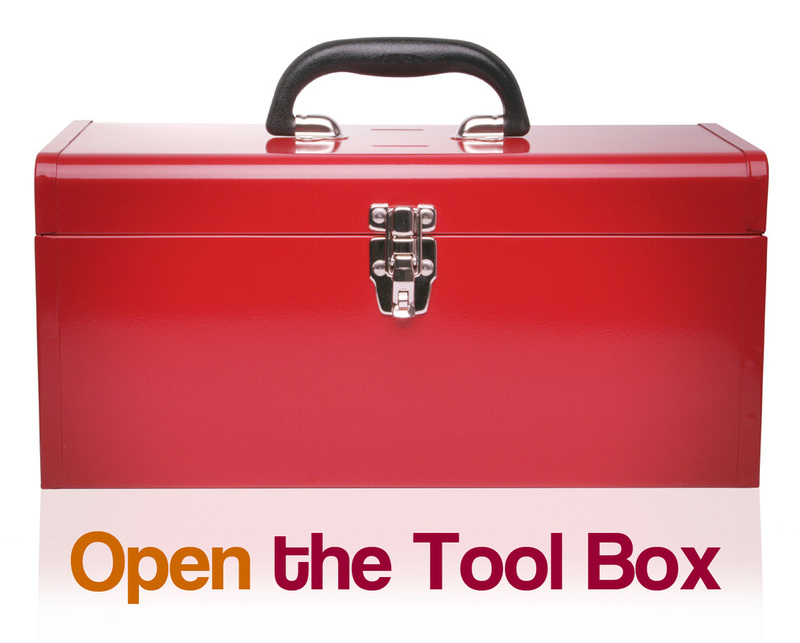 Soon, other gun manufacturers in America and England were using the system. It was not long before the American System began to be used in manufacturing other products as well. 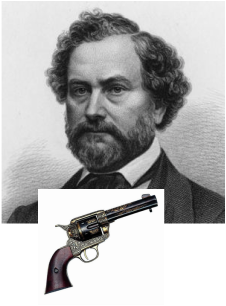 Samuel Colt was an inventor and industrialist who created the revolver. The most famous revolver was his .45-calibre Peacemaker model that was introduced in 1873. Colt took Eli Whitney's advice on using interchangeable parts to make guns and paved the way for the interchangeable parts system of manufacturing. He was one of the U.S.'s most famous gun manufacturers. Owners of the Peacemaker included Jesse James, Billy the Kid, Wyatt Earp, Pat Garrett, Buffalo Bill Cody and Theodore Roosevelt. 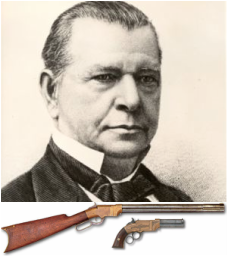 Oliver Winchester was a brilliant industrialist in gun manufacturing. Winchester bought the Smith and Wesson Arms Company that developed the Volcanic pistol and Volcanic Rifle in 1852 and renamed it the Winchester Repeating Arms Co. His chief engineer, Benjamin Tyler Henry redesigned the Volcanic Rifle to shoot more bullets with better accuracy. This made Winchester's company a lot of money. The rifle was named the Henry Rifle. The Henry Rifle was the most used gun in the Civil War and by settlers in the West. Young women were a new addition to the workforce. 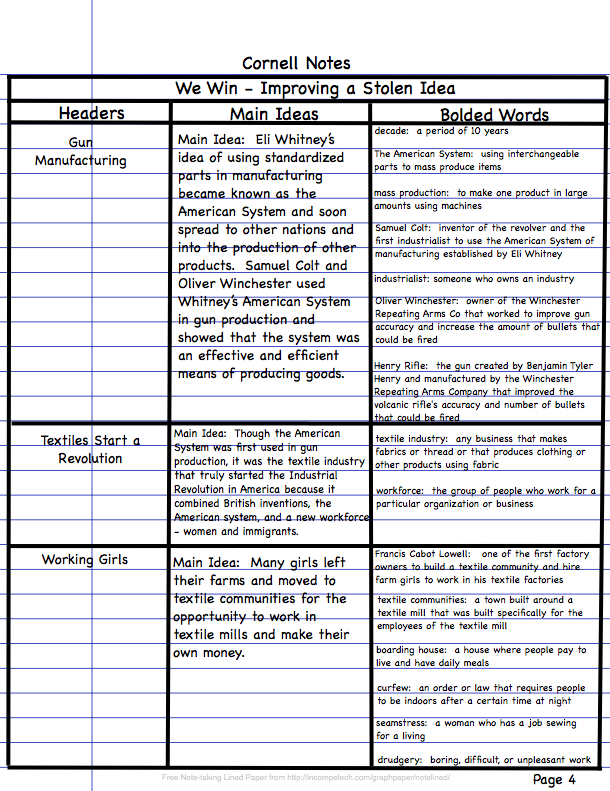 After Eli Whitney developed the American System, factories of all kinds developed quickly. As you can see, gun manufacturing did not really take off until the mid to late 1800s. 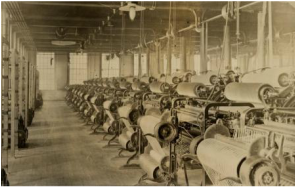 It was the textile industry that led the United States into industrialization. Textiles had started the British Industrial Revolution. Samuel Slater took all that he learned about textile production in Britain and created textile mills in the United States. Eli Whitney created the American System when he introduced interchangeable parts to the textile industry. The textile industry led the United States into the Industrial Revolution because the U.S. combined the new inventions and factory method of production created by the British with the new American System of using interchangeable parts in manufacturing. There was another factor that greatly contributed to the success of the textile industry. This was the new workforce of women and immigrants. Many girls chose to work in textile factories over working on the family farm. Textile factory owners in Massachusetts found that they could hire farm girls to work in their factories for about $3 a week, depending upon their experience and effort. Francis Cabot Lowell was one of the first factory owners to try hiring farm girls to work in his textile factories. His mill agents promised the farm girls' parents that the girls would be well cared for and protected. The girls moved to textile communities where they lived in company-owned boarding houses. The girls earned cash wages and mill owners offered a variety of social events for the girls to attend for fun. The girls agreed to a strict set of rules including church attendance and curfews. In the 1800’s, job options were limited for women and the Textile Mills offered them the opportunity to earn their own money. Although the wages were low, it was more than the girls could make as seamstresses or servants, who made less than a dollar a week at home. Many young women preferred the excitement of living on their own to the drudgery of the farm. As a result, thousands of single girls worked in the mills for a few years until they married. With hope for a brighter future, nearly 12 million immigrants arrived in the United States between 1870 and 1900. Industrialization caused many cities to get larger with the arrival of new migrants and immigrants. When Samuel Slater stole the factory system idea and brought it to America, he started the American Industrial Revolution and a chain of events that led to U.S. industrialization. He inspired people like Alexander Hamilton to believe that our nation would prosper as an industrialized society. Believers in industry set out to prove that industrialization was the path America should take. 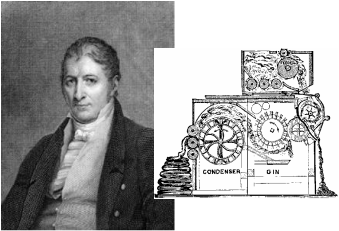 Eli Whitney introduced the "American System" in which he added interchangeable parts to manufacturing. Francis Lowell Cabot added women to the workforce for the first time in America and constructed communities for them to live in. Immigrants moved to America for the chance to make more money working in factories. As more people began working in factories, America's industries grew larger and more and more people moved away from their farms for the opportunities that factory work provided. The U.S. grew and prospered because of industrialization. U.S. Industrialization led the United States to eventually become a major world power! In this activity, your group will participate in a you choose adventure where you are a farm girl named Eliza Paige. You go to Lowell Mill to work in the textile factory there. The choices you make were made by real girls of this time. The choices you make will determine Eliza's outcome. When your group has completed the you choose adventure, raise your hand. I will come to you to see your outcome. You may also play this you choose adventure at home as much as you like. To get started, click on the Lowell Mill Girl, You Choose Adventure picture icon above. DIRECTIONS: Work by yourself to prove you have completed today's mission successfully by answering the essential question for today. 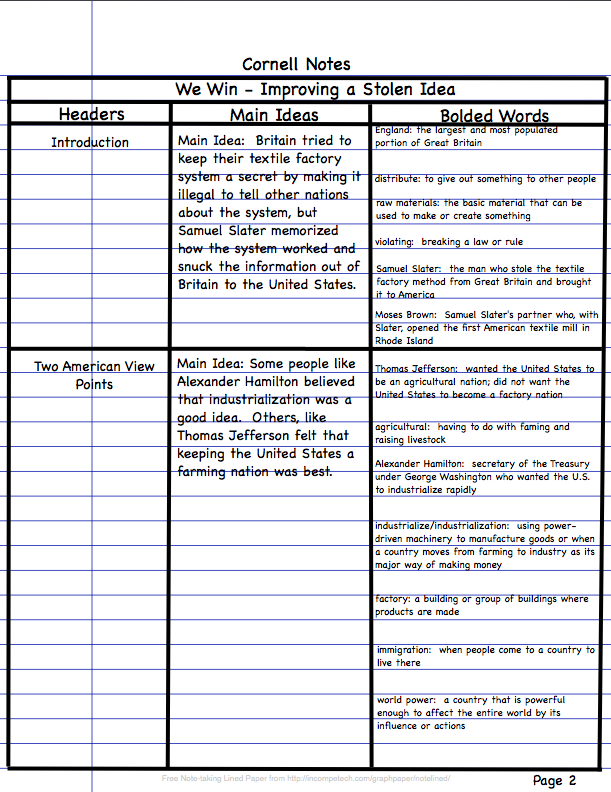 Answer the question on the first page of your Lesson Chronicles under your Lesson Mission. Refer to the example below. The example shows you what all you are expected to have for your portfolio check on this lesson. If you did not complete any assignments from today, they are homework. You never know when I am going to check portfolios, so make sure you are keeping up! Congratulations! You have Completed the Unit 3 Lesson 2 Module! If you'd like to learn more about the the Lowell Mill Girls and how the factory system developed, watch the videos below. You must use your headphones. You may watch this at home as well! This movie is an animation (cartoon) of how mills were started and developed in the United States. This movie was made by high school students and produced by Lauren Meyering called The Lowell Mill Girls. It tells how the Lowell Mill Girls were the first women to attempt to get equal treatment for women and try to expose the poor working conditions that developed at the mill. Parts of the movie are hard to hear and you'll need to adjust your headphones.